“TODAY’S CUSTOMER is looking for quality, every day looks which they can be able to dress up and down with any of their clothing essentials, and Giordano is perfectly positioned to cater for those consumer needs. On top of her game. Actress Nomzamo Mbatha was the MC at the Giordano clothing boutique shop, first opening in SA. We really are looking forward to expanding the brand’s foot print across Mzansi and to localize some of the clothing items to also give it that uniquely Mzansi flair,” says Managing Director Shaheen Hartnick. 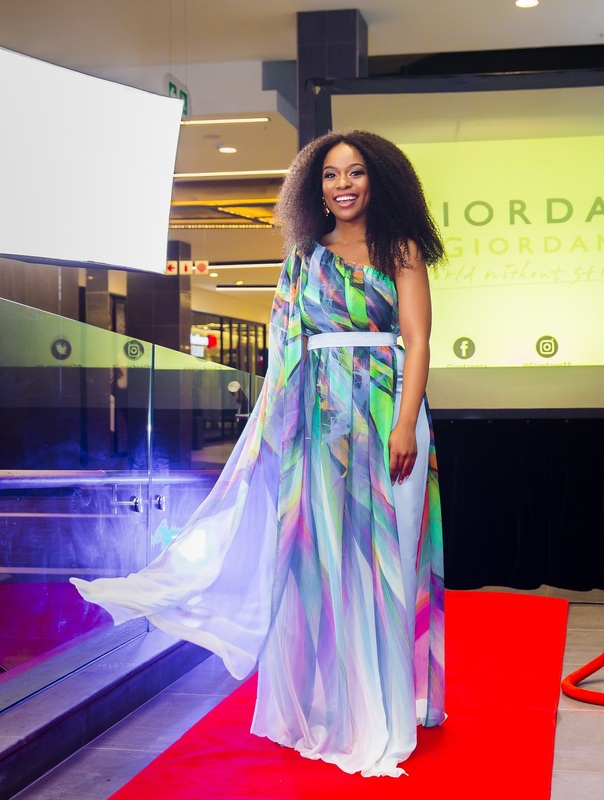 The international brand Giordano clothing store opened its doors in mzansi for the first time. It was established in Hong Kong some 37 years ago. And on Thursday evening they hosted media, celebs and guests to celebrate the momentous occasion at The Glen Shopping Centre, Johannesburg. Giordano, boasts of over 2800 stores in 40 countries, and according to Hartnic will spread to other regions in the country within a space of six months. The launch had crème de la crème of SA entertainment industry namely Nomzamo Mbatha as MC, TV Presenter and Model Tino Chinyani; Socialite and Personal Trainer Mika Stefano; Actress and TV Personality Mbali Nkosi, TV Host and Social Media sensation Farieda Metsileng and Reality TV star Tebogo ‘Pinkygirl’ Mekgwe. Lucky first time buyers will get a discount when it opens to the public on Saturday 1 September 2018.